Los Angeles Business Lawyer Los Angeles California Business Law Office of Alan Abergel, P.C. Welcome to the LAW OFFICES OF ALAN ABERGEL, P.C., a Los Angeles business, real estate, and financial services law firm. Our firm’s concentration is in the representation of entrepreneurs and their businesses. Our firm provides transactional, regulatory, and administrative litigation services. We often act as outside general counsel for our clients’ businesses. We serve many business industries including, lending, financial services, equipment leasing and finance, real estate, technology startups, professional services, music/entertainment, new media, fitness/wellness, manufacturing, restaurants, and apparel. As a Los Angeles, California, business law firm, we provide professional, cost-effective, responsive, and aggressive representation to our clients. Our skill in incorporating litigation avoidance strategies into our clients’ business planning is a key element of our practice. Regardless of an organization’s size or prominence, legal problems affecting financial status and/or reputation, require prompt and practical solutions. We view our clients’ legal problems as business problems, and work innovatively and promptly to resolve them. We recognize that our clients have businesses to run. For that reason, we work aggressively to get our clients back to developing their businesses. We believe you will find us to be responsive, efficient as well as cost effective. Our office is located in ENCINO, (Los Angeles) in the heart of the Encino Financial District, near the intersection of the 101 and 405 freeways in the northwest Los Angeles area, conveniently located to serve both “Westside” and San Fernando/Conejo Valley clients. I am a Los Angeles, California based business lawyer. I can skillfully represent your business in a wide variety of business matters such as company formations, corporate startups, securities offerings and compliance, M&A transactions, equity and debt financing transactions, equipment leasing and finance transactions, joint ventures, due diligence, trademark, regulatory compliance, and contract negotiations and drafting. As a Los Angeles, California based lawyer, I work with a wide range of clients. My concentration is mainly in the small business and middle market segment. My skill in incorporating litigation avoidance strategies into my clients’ business planning is a key element of my transactional practice. Regardless of an organization’s size or prominence, legal problems affecting financial status and/or reputation, require prompt and practical solutions. I often act as outside general counsel for my clients’ businesses. I serve many business industries including, real estate, lending, financial services, equipment leasing and finance, technology startups, music, entertainment, new media, fitness/wellness, manufacturing, restaurants, and apparel/fashion. As a Los Angeles, California based business lawyer, I also represent foreign investors in California in all transactions covering business and real estate investments in many business industries. We also work closely with the investor’s immigration counsel to produce business, securities offerings, PPM, real estate, equity, debt, investment, and related documents in compliance with EB-5, L-1, and other investment visas. I often act as outside general counsel for foreign investors’ businesses located in Los Angeles and other parts of California. The formation, organization, ownership, control, governance, and dissolution of corporations, limited liability companies, limited partnerships, partnerships, joint ventures, private equity funds, syndications, and other business entities. Registration of copyrights, and trademarks. Intellectual property registrations and licensing. Buying and Selling of Businesses, Mergers & Acquisitions transactions for small businesses, middle market companies, , and private equity funds. Representation of start-up companies, angel investors, and venture capital firms in equity and debt financing transactions. Private offerings transactions, including representation of accredited investors and private offering issuers. Representation of borrowers and lenders in debt transactions. Negotiation and drafting of contracts with vendors, suppliers, licensees, distributors/wholesalers, sales representatives, and other related parties. Negotiation, drafting, and review of business contracts. Corporate governance, management and control. Providing advice to majority and minority owners, partners, general and limited partners, shareholders, members, managers, officers, directors, employees, and other business participants. Representation of lenders in commercial and consumer lending transactions. Representation of California Finance Lenders before DBO and assistance in obtaining a California Finance Lenders license. Representation of CALIFORNIA STUDENT LOAN SERVICERS and assistance in obtaining a CALIFORNIA STUDENT LOAN SERVICERS License. Representation in equipment leasing and finance transactions. Assistance with initial and annual shareholder and board of directors meetings, review/update of bylaws, corporate maintenance and resolutions. Revival of suspended corporations, LLCs and LPs. Dissolution and wind-up, purchase, sale, merger, and conversion of corporations, LLCs, and LLPs. Representation of business brokers, M&A intermediaries, middle market investment banks, and California Finance Lenders in administrative proceedings before government agencies such as BRE, DBO, and the SEC. Los Angeles FINRA defense Attorney. Representation in FINRA disciplinary hearings, and arbitration and mediation proceedings. CALIFORNIA INVESTMENT ADVISER DEFENSE ATTORNEY. Affordable outside general counsel plans to businesses. Our firm also handles disputes that may arise during or at the end of a real estate transaction. Our practice in this area includes representation in virtually all areas of real estate, including land use and planning matters. In addition, we represent clients regarding real property due diligence including title examination, and structuring ownership entities and financing arrangements. Law Offices of Alan Abergel, PC, is a trademark lawyer in Los Angeles, CA which represents clients with intellectual property matters such as trademarks, service marks, trade names, business slogans, and logos. It is very important for your business to protect its trademark as your trademark is a valuable business asset. I can register your business’s service mark, trademark, brand name, slogan, and logo with the United States Patent and Trademark Office (USPTO) as well as internationally. I handle the entire trademark process from beginning to end, including filing the trademark application, responding to a USPTO Office Action, and representing you in any administrative proceedings if necessary, including appeal to the USPTO’s Trademark Trial and Appeal Board. I can also help with conducting a trademark search to minimize the chances of a USPTO Office Action, administrative proceedings, rejection of your trademark, cease and desist requests from conflicting trademark owners, or trademark infringement litigation. I also handle other intellectual property maters such as copyright registration, copyright licensing, trademark licensing, invention licensing, and patent licensing agreements. My fees are reasonable and affordable. I charge flat fees for trademark and copyright registrations. I handle all trademark and copyright registration myself. I serve all types of business industries in trademark and intellectual property matters including without limitation, lending, financial services, real estate, construction, technology startups, music, entertainment, new media, fitness/wellness, manufacturing, restaurants, and apparel. The fact that the Law Offices of Alan Abergel, P.C. is a business law practice allows us to serve our intellectual property clients with business at the forefront. We are able to offer clients unique opportunities and highly advantageous strategies designed to allow them to take full benefit of their intellectual property assets. 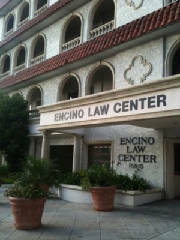 We serve the greater Los Angeles area with office locations in Encino, CA and Santa Monica, CA. Locations of practice: As a Los Angeles California business lawyer, I serve clients located in California, the United States, and internationally. I serve the following Los Angeles metropolitan areas, San Fernando Valley, Conejo Valley, Beverly Hills, Encino, Tarzana , Woodland Hills , West Hills , Canoga Park , Studio City , Van Nuys , Burbank , Canoga Park , Reseda , Universal City , Hollywood , North Hollywood , Chatsworth , Granada Hills , Sylmar , West Hollywood , Anaheim , Orange County , Marina Del Rey , Venice , Santa Monica , Malibu , Culver City , Manhattan Beach , Hermosa Beach , Redondo Beach , Torrance , Pacific Palisades , Bakersfield , Burbank , Pasadena , Glendale , Long Beach , Newport Beach , Orange , Riverside , San Bernardino , Irvine , Costa Mesa , San Diego , Irvine , Fullerton , San Francisco , Sacramento , Santa Ana , Los Angeles County , Santa Barbara , Southern California , Calabasas , Agoura Hills , Thousand Oaks , West Lake Village , Oak Park , Simi Valley.